Fashionable and affordable eyewear is available at all Moses Eyecare locations. 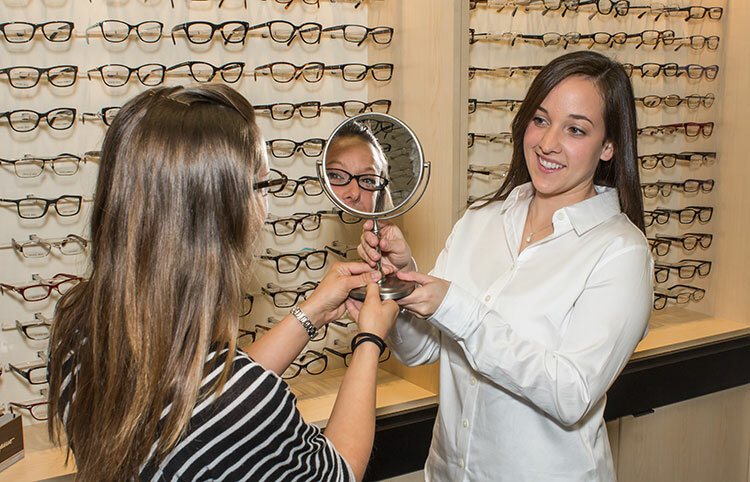 Our opticals display thousands of frames ranging from today’s designer styles to an economical “sight saver” collection. Highly trained and helpful opticians aid in the selection of comfortable frames and the newest lens designs to keep you seeing well and looking even better. When required, same day service is available for many prescriptions from our on-site lab. A one year warrantee covers most frames at no additional cost.